So I'm excited about this week because I think Children's rooms are so much fun!!! It's the one room in the house where if you are a conservative decorator - you can let loose and have fun and use color. (or at least - that's how I feel). And also starting next week I'll be planning a new nursery so I'd love to see ideas! If you don't have children - but would love to have some one day - it would be great if you wanted to just post your ideas for a dream nursery. If you are like me - I had nurseries planned in my head for years. I'd love to see your ideas!!! Or you can skip and just enjoy the tour and join back up next week. This is her room looking in from the hallway. It is an explosion of pink and brown with a little green mixed in and I love it. I had this sign made by Kim and I hope it will stay in her room until she leaves for college. I just adore it! It matches her bedding exactly. A little table I have set up. I really need to work on printing out pictures of Harper to put in frames. That is on my short term to do list. Laurie got me this sign for my birthday before I ever became pregnant with Harper. I gave a special request for this verse as we struggled with infertility because I knew in my heart that it would be hanging in our baby's room soon! 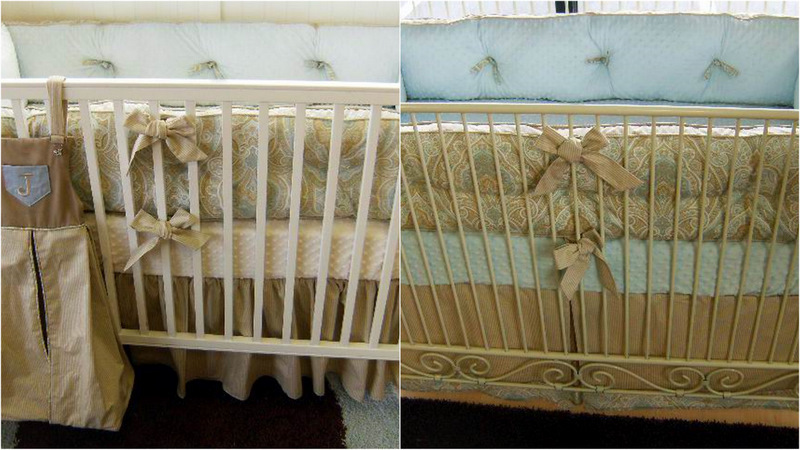 This is a day bed we have in the nursery. It is going to move to the new nursery soon and we are getting Harper a play kitchen for Christmas to go in here and we want her to have more room to play! The painting above the bed was made by my lifelong friend Jamie. I told her before we ever got pregnant - that when I did - I wanted her to paint something. I love it so much. We call Harper our "baby Monkey" and this verse is my life verse for her. (and for me). It gave me hope during infertility and it especially gave me hope as the doctors told me she might not live in her first few days. I love the fact that Jamie added a real life bow on the monkey's head. I had Harper's bedding made at Polka Tot designs. I was worried before it came that I might have been nuts and I might not like it but when I finally got it - I just skipped around because it was exactly what I wanted. I want her to stay little forever and keep this bedding forever. Another view of her crib. 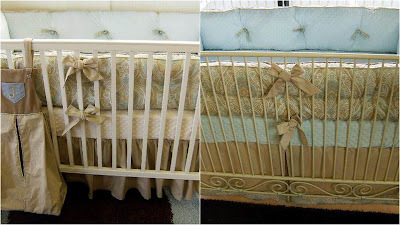 We got the crib at Wal-Mart.com and we really like it. And we have the her little doll from Baby Be Blessed in there! A sweet blogger friend, Keri, made me this bag before Harper was born and I have it hanging on her closet door. I think it's too cute to use. The other side has her monogram. PRECIOUS! My dad made me this chest of drawers to use as a changing table/dresser. I'm so proud of it. I'm amazed at how he can build something like this. Harper will use this in her room forever and then pass it on down to her daughter I hope. It used to be Harper's changing table and recently I put a lamp and just some knick knacks on top and we use it as a dresser. This is a bad picture but I had this frame and I painted a mat to go with it and framed Harper's 6 week, 12 week, 20 week and 3D ultrasound pictures and then a picture of her when she first came home in the center. I wanted something special to do with her ultrasound pictures. This is hanging on one of her walls - I love it! Some of her bows hanging on her bow holders - her bow holders are now CRAMMED full of bows. This was before she really wore bows in her head (without headbands). This is her closet and yes it is ridiculous. This was when she was a tiny baby - it's worse now. I can't help it - girls are fun! I have already pretty much decided that for the new baby - whether it's a girl or boy - I want to do something just kind of calm and serene. I love the pink and brown I did in Harper's room - but I think I'm going to leave the new nursery walls a light khaki color and maybe do a light blue and brown with gold accents. I'll add girly touches if it's a girl and make it a little more boyish for boys. Something kind of like the bedding below. I have it planned in my head if I don't change my mind. That's the tour folks. Now let's see those kid's rooms!! !